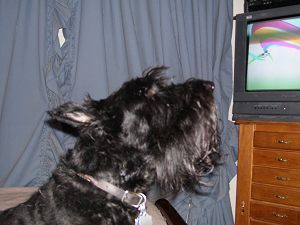 Katie & Riley LOVE to watch tv! A recent discussion of Katie's "Plane Watching" hobby drew a question..
even taught Riley at a young age to appreciate 'the tube'! 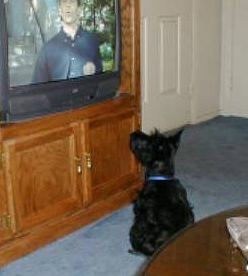 Katie has FIRM opinions, however, as to what makes QUALITY television! visual proof of the Wild Child Gang's TV-watching habits!! 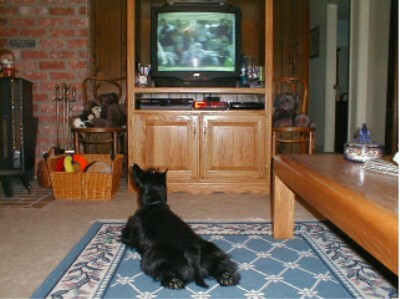 tootsies stretched out behind her... attention focused on the program! NOOOOO sense in being uncomfortable as ya watch TV!! 101 Dalmations -- "Twilight Bark"
Katie became a VERY active participant in THIS scene!!! 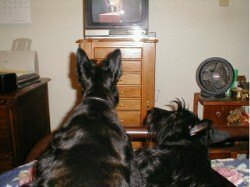 Katie (R) sees no reason to SUFFER as she watches her program!!! 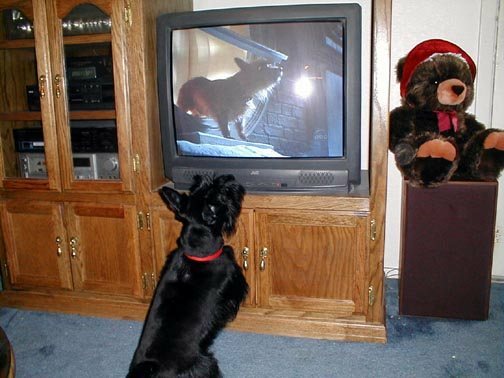 Riley began watching TV as a wee lad! 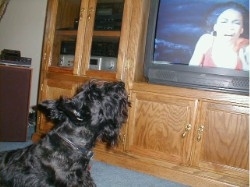 his TV watching transformed into a LOT of "sing-alongs"!!! 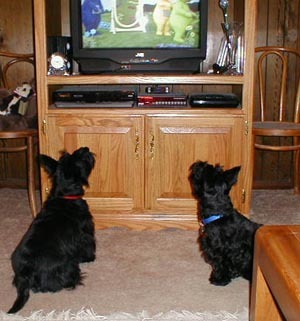 Katie (L) and Riley (R)...true TV TERRIERS!!! ©Copyright 2007 All rights reserved.